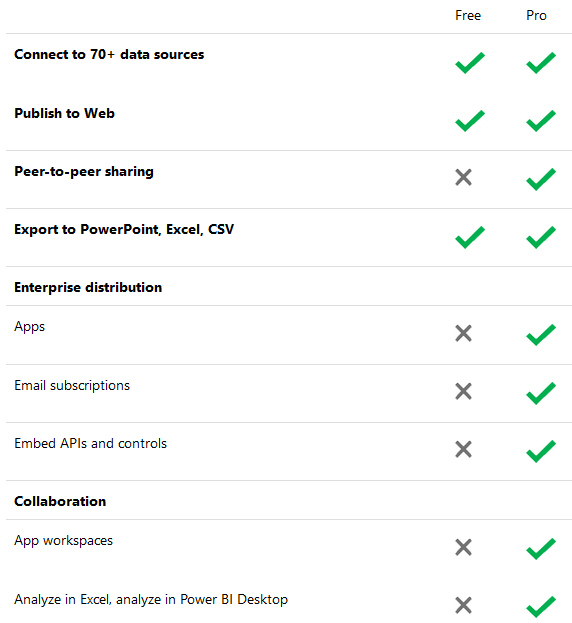 Many additional features in Power BI Service require you to have a Power BI Pro licence. Creating an app When you want to create app services to share with other users. Sharing a dashboard When you want to let other people in your company view a dashboard that you've created. View shared content When somebody else has shared an app workspace or dashboard, and you want to view what they've done. Analysing with Excel When you want to create a pivot table based upon datasets you've published to Power BI Service. Apply row-level security When you want to prevent some users of your reports from seeing certain data. Increase your limits Free users of Power BI Desktop now get access to the same file and data limits as paid users. In a nutshell: if you want to share reports with other people in any way, you're going to have to upgrade. You can see this table here. 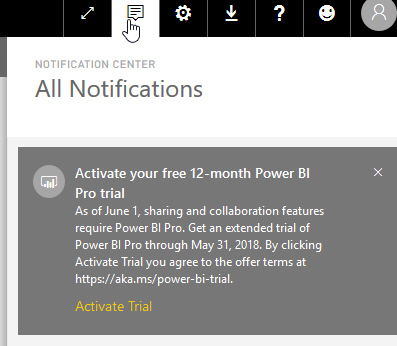 You can click on the icon shown at the top right of Power BI Service, then activate your trial by clicking on the link which appears. Sign on to Office 365, and go to the Admin centre. Choose this option from the Billing menu. 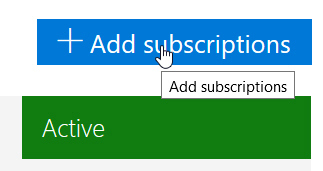 Click on the Add subscriptions button. 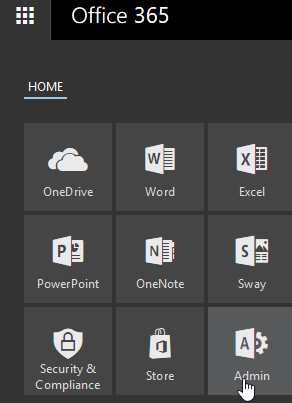 After starting a trial for or buying Power BI Pro, you can assign licences to users in the usual Office 365 way. How long do free trials last? The clock is counting down! Astute readers will be able to work out that I'm writing this on 5th July 2017. How much does Power BI Pro cost? 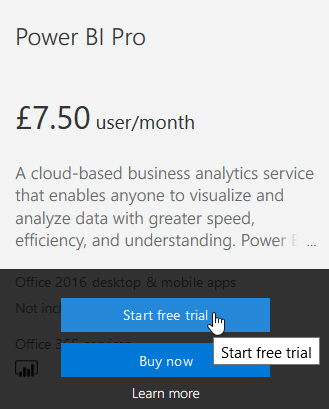 At the time of writing the subscription cost to Power BI Pro is $9.99 per month, or £7.50 a month in the UK. You can see the latest prices for this service here. Be aware that if you want to share a dashboard or app with 10 other users in your organisation, you'll need 11 licences (one for you, and one for each of the other 10 people). 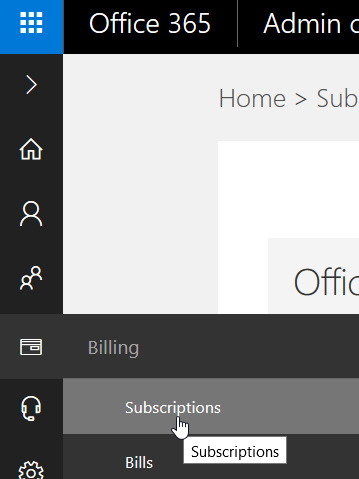 The alternative is to subscribe to Power BI Premium.